Edinburgh is a beautiful city, rich in culture and boasting lots for its citizens to explore. One of the main ways residents and visitors choose to explore the city is by bicycle. Cycling is very popular in Edinburgh. There is even an annual Edinburgh Festival of Cycling, set up in 2013, which runs for ten days in June. The festival attracts thousands of cyclists from all over the world and aims to celebrate cycling culture, cementing the capital's reputation as a cycling city. The Scottish Government has put a Cycling Action Plan for Scotland (CAPS) in place to help persuade more people to choose bikes over cars, as this could help reduce carbon emissions and create a healthier environment for everybody. But despite the encouragement for people to get on their bikes, Edinburgh is far from the safest place for cyclists. As with any large city, there are inherent risks of cyclists colliding with motorists because of lack of attention. But Edinburgh has another very serious risk – tramlines. Bike wheels are at risk of getting caught in tramlines and cyclists have been seriously injured as a result or have lost control of their bike when passing over the tracks. The design of the tracks has been blamed. In March 2017, Professor Chris Oliver, a consultant at the Royal Edinburgh Hospital, gathered statistics on people injured as a result of the tracks. There had been 252 victims to that date, 191 of which were cyclists. The research revealed the vast majority of injuries were the result of people getting their bike wheels caught in the tracks, while another common cause was the wheel sliding on the track (usually because of wet conditions causing the tracks to be very slippery). The injuries sustained included upper limb fractures and dislocations, lower limb fractures and facial fractures. These injuries are estimated to have cost £1 million to the NHS. Professor Oliver added that the cost to the NHS is not the main problem. He said the "suffering caused by the accidents" and the lasting effects they have on the victims is "more significant". The tracks are such a problem that many injured cyclists have decided to sue Edinburgh City Council for not taking fast enough sufficient action to rectify the problem, and Thompsons is representing them. If you have suffered a cycling injury in Edinburgh, then you may be able to claim compensation. The solicitors at Thompsons are very experienced in dealing with cycling injury claims. As seen from our representation of the victims injured due to the tram tracks, Thompsons Scotland has taken the lead in campaigning for a safer environment for Edinburgh's cyclists. 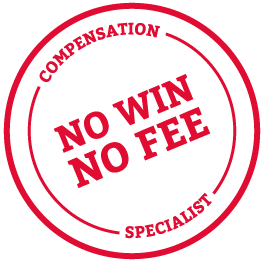 We are committed to fighting for compensation for the victims who've been unfairly hurt because of their choice of an eco-friendly transport. Call us today on 0800 0891331 to discuss your case with one of our specialist personal injury lawyers.